Have you been wondering why we are classifying ourselves as the ‘Emergency Dachshund Rescue UK’? We thought long and hard about our tagline and we agreed that The Red Foundation as a name didn’t really show what we do. We act instantly on any case of a Dachshund in need i.e the ‘Emergency’ part. We have fosters and transportation links all over the country ready to help in situations where the family or owner does not have much time on their hands. 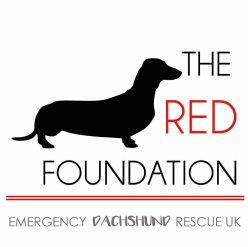 We realised in the very early days of The Red Foundation, that even the most loving of dog owners end up in scenarios where they must rehome their dachshund and sometimes even with a 24 hour time frame. 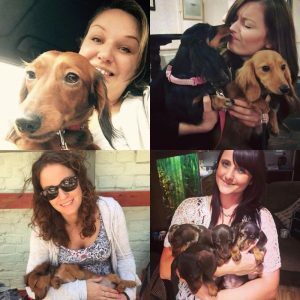 Our team is made up of not only dachshund owners, but knowledgable and rescue experienced ladies. With that being said, we have connections to a network of trustworthy experienced dachshund owners who are capable of rehabilitating and working with troubled dachshunds too. We are really chuffed that you’ve come to this website and had a think about what we do and offer. If you can we’d really appreciate you popping a donation our way. We are taking in dogs with considerable health issues, behavioural issues, transport requirements, as well as running this website to keep people informed and advised on the breed. Which racks up some fairly massive bills! Could you please verify that I am on the database for adoption? Previous Previous post: What is ‘Rare’ about this Dachshund being advertised?